Resource center Drug Recovery Process and Timeline How Is an Addiction Therapy Session Conducted? Over 8 percent of the adult population in the United States (ages 12 and older) suffered from a substance use disorder in 2014, the National Survey on Drug Use and Health (NSDUH) publishes. The National Institute on Drug Abuse (NIDA) reports that while addiction is a complex disease that affects everyone differently, in general, a mixture of both pharmacological and behavioral therapeutic methods is beneficial during treatment. Addiction therapy may come in several different formats and types, although all have the same end goal in mind: to help an individual recover from drug and/or alcohol abuse by developing healthy coping skills, regaining emotional balance, minimizing relapse, and improving overall quality of life. 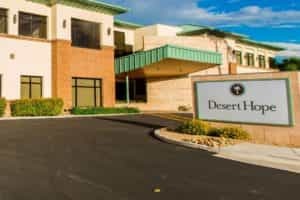 In addiction treatment, therapy can be performed in a variety of settings, including outpatient treatment centers, residential treatment facilities, hospitals, physicians’ offices, and clinics. Mental health professionals, usually counselors or therapists, may run therapy sessions in a variety of locations as well. Addiction therapy usually consists of both group and individual sessions that are provided at least once a week and oftentimes more regularly. Individual sessions generally last between 45 minutes to an hour, while group sessions are a little longer, at closer to 90 minutes on average. Individuals may attend therapy as long as they feel it is necessary and helpful to them. A group session likely includes 5-10 individuals in similar circumstances. Homework may be common, as individuals are asked to practice the new skills or coping mechanisms outside of sessions and then to report back on how they worked or didn’t work at the next group session. These sessions are also supportive in nature, where the therapist acts more as a facilitator for group discussions. In these sessions, the group decides the topics to be discussed, and individuals work through these concepts together by listening to members’ personal experiences and providing support and understanding. Peer support during addiction treatment can be very helpful in dispelling the sense of isolation or withdrawal that addiction can create. Group therapy can help people to feel more connected and less alone. Another type of group therapy is family or couples therapy. Family therapy and/or couples or spousal therapy can help to ensure that all members of a person’s support system are on the same page and working toward the same goals. Family therapy sessions may focus on addiction education, communication skills, and improving the inner workings of the family unit. Family therapy may be intensive and short-term, or more spread out over a longer period of time. Group and family therapy sessions are usually provided in addition to individual therapy sessions during addiction treatment and ongoing recovery. Individual therapy sessions provide a forum where clients can feel safe, understood, and heard. Personal issues can be fully identified, explored, and managed during individual therapy sessions, as the therapist can build a strong report with the client, offering security and confidentiality. When a person first enters into addiction therapy, the first session will likely be a “get to know you” kind of format. Therapists will work to determine what kinds of things the person may need or want to talk about most, and what method of treatment or course of therapy may be the most beneficial. A mental health assessment may be done either in the first session, or just prior to it, in order to uncover any potential mental health concerns that need to be addressed during treatment. The session may follow a question-and-answer model, or the therapist may have the individual fill out a questionnaire prior to the first session. In this case, the therapist will then spend time during the session going over the questionnaire answers. At the end of the first session, the therapist will likely develop a future plan of action and share this with the individual. Future sessions may differ, depending on the particular needs of the individual that day. Typically, they will start with a welcome and check-in to see how things have been going since the last session. From there, the therapist will decide how the bulk of the session will be conducted. Perhaps new tools will be taught, or individuals may need direction in using the skills learned previously. Emotions are discussed and worked through during these sessions. Sessions usually end with the therapist giving the individual something concrete to focus on in between sessions and possibly even new concepts or methods to try outside of therapy. Different types of addiction therapy may use different models regarding how sessions are conducted and how therapy progresses. However, in general, therapy sessions are led by a therapist who helps the individual to identify potential triggers or stressors, learn how to better regulate moods, and improve relationships. The therapist provides insight into the individual’s emotions and subsequent actions through a variety of methods. Therapy is helpful for a variety of mental health concerns, including addiction, as the National Alliance on Mental Illness (NAMI) reports that therapy improves mental health symptoms. There are many different types of therapy modalities used during addiction treatment. Typically, behavioral therapies are likely the most common. These therapies address a person’s thoughts and emotions in an effort to modify behaviors. NAMI publishes that about half of all individuals who abuse drugs also suffer from a mental illness, as do a third of those abusing alcohol. In addition, about half of those battling a serious mental illness, and a third of those suffering from any form of mental illness, also abuse substances. Co-occurring mental illness and addiction are common, therefore, and when a dual diagnosis exists, specialty integrated treatment is ideal. Co-occurring disorders are also treated with therapy methods that likely include both group and individual sessions as well. Cognitive Behavioral Therapy (CBT): CBT is usually considered a short-term form of therapy with sessions lasting 50 minutes and continuing for 5-10 months, according to Psych Central. CBT is a goal-oriented and research-based therapy model. CBT sessions help individuals to better understand how their emotions connect to their actions and how negative thought patterns can translate into self-destructive behaviors like substance abuse. During a CBT session, individuals may learn new coping mechanisms for stress and how to manage emotions in a positive manner, thus influencing the subsequent behaviors or actions that may follow. Homework, or journaling, between sessions is common as individuals are asked to practice replacing the negative thoughts with more positive ones in real-life situations. Dialectical Behavior Therapy (DBT): A form of CBT, DBT was originally developed to treat borderline personality disorder (BPD) and to manage suicidal ideations. DBT, as published by Behavioral Tech and the founders of DBT, uses both group and individual therapy sessions to help individuals become more self-aware, learn how to tolerate emotional pain but not necessarily try to change it (distress tolerance), learn how to modify emotions that do need changing (emotional regulation), and develop tools for use within relationships (interpersonal effectiveness). During group sessions, DBT teaches life skills and runs through a particular curriculum that lasts 24 weeks when groups meet weekly for 2.5-hour sessions. Individual sessions help people to apply the skills learned in group sessions and enhance motivation. These sessions likely continue the length of the skills training sessions, which may be looped to create a yearlong program. DBT focuses on treating issues in a hierarchical method, starting first with potential life-threatening behaviors, then moving on to those that might interfere with treatment, then to issues surrounding quality of life, and finally to learning new skills for achieving individual goals. Motivational Interviewing (MI): A client-centered approach, MI is a short-term therapy solution that is nonjudgmental and nonconfrontational, per the American Academy of Pediatrics. MI may be effective in helping individuals find within themselves the desire and motivation to change and stop abusing substances. Therapists keep sessions brief, ask questions to help clients recognize problematic behaviors, and guide clients to find new and more effective ways of coping. As published by Family Practice Management, the relationship between therapist and individual is important during MI, as the main goal is to help the individual resolve their ambivalence toward change on their own, without the therapist just offering solutions. Seeking Safety (SS): Addressing both substance abuse and potentially trauma as well, SS is often used as an integrated therapy model in both group and individual settings, as it is highly flexible in nature. A present-focused therapy model with the principle goal of achieving safety, SS sessions usually focus on one of 25 designated topics. Rational Emotive Behavior Therapy (REBT): This type of therapy focuses on the fact that negative thoughts often make up “irrational beliefs” that interfere with a person’s goals. As reported by Psych Central, REBT follows an ABCDE model with “A” standing for Adversity and Activating event, “B” being the irrational Belief, “C” the Consequence, “D” standing for the Disputes against said beliefs, and “E” referring to the new and Effective emotions or actions. Individuals work through this model with a therapist to improve negative and irrational beliefs that may have led to self-destructive behaviors, thus improving a person’s emotional state and self-image. Eye Movement Desensitization and Reprocessing (EMDR): Incorporating many different methods into one therapy type, EMDR is an integrated method commonly used to treat individuals who have experienced trauma. Therapy sessions usually follow eight different phases in a three-pronged approach that first addresses past memories, then the present disturbance, and lastly the future actions, the EMDR International Association (EMDRIA) publishes. The eight phases work through planning, preparation, assessment, desensitization, installation, physical body scan, closure, and reevaluation. Individuals may work quickly through the steps, or spend more time in one than another. They are not required to relive the trauma in detail during therapy sessions if they are not comfortable doing so. Instead, the emotions surrounding the event are managed and new coping skills developed. During a session, individuals are exposed to repetitive eye movements for 20-30 seconds in an attempt to replace negative emotional reactions with more positive ones. This is commonly referred to as dual stimulation, and it may help people to better cope with trauma, NAMI reports. Solution-Focused Therapy (SFT): In an SFT session, individuals focus on forming a solution instead of problem-solving. Therapists use a 0-10 scale, with 0 being the worst possible result and 10 meaning all goals are achieved, to help individuals find ways to accomplish their goals. An individual’s resources and personal strengths are highlighted with this therapy. SFT is considered a brief intervention of usually about five sessions total, and each session lasts about 45 minutes, BJ Psych explains.